We have a winner for the Charles Emerson Designs giveaway!! 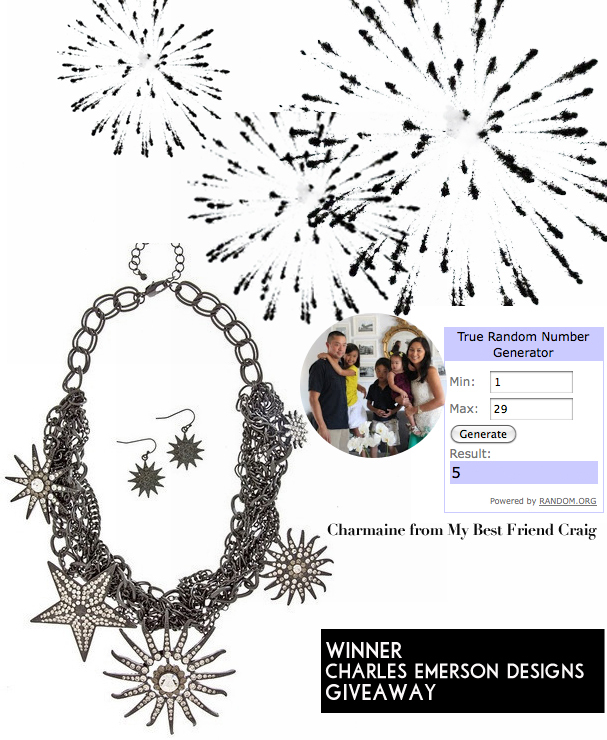 Our winner for this SPECTACULAR necklace is Charmaine from My Best Friend Craig! Congratulations!! You are now officially ready for any holiday engagement. Thank you to the lovely Erin from The Richmond Thrifter and to Charles Emerson Designs for this fabulous giveaway. Woohoo! Thank you! So excited! My email is jen615@hotmail.com. So pretty! Great giveaway, Albertina!